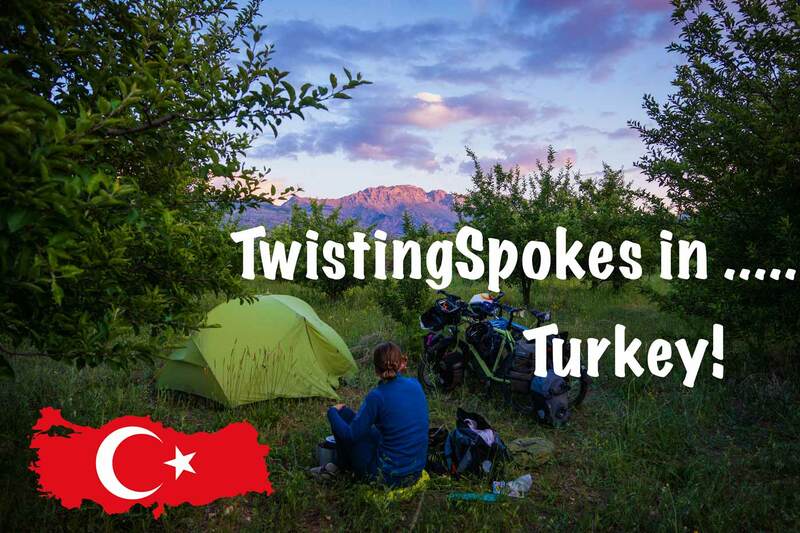 Home/Heat and desert, Hospitality, South East Turkey, Turkey/Mardin to Hakkari, are we still in Turkey? How interesting is it that we make plans along the way of our journey and still they always change all the time. We had planned to stay in Mardin to relax, investigate our route in Iraq or Mardin to Hakkari, update website and explore the town. The town Mardin is a mix of old buildings and a mass of turkish tourists, we had heard many good stories of Mardin and wanted to see for our selves. Mardin we found to have an interesting setup of cultures where ancient Christianity meets Islam. Buildings are fascinating as they mix well with the surroundings due to the golden sand colours. The view from the town over the Mesopotamian plain is really mind blowing. Mardin also serves as a good place to hang out as there is good deals to be found with hotels and plenty of restaurants. We stayed at the Dara Konagi which we can recommend, the owner will give cyclists a good price. Finally Martin was okay to continue and we got on the road, the temperature was intense and peaking at 42°C degrees and we were both struggling, anyway we pushed on. The next days Susanne started having stomach issues not as bad as Martin but enough to feel less energetic. We reached Midyat after 2 days of cycling and had hoped for a days rest here only to find the hotels way to expensive or full 🙁 No choice we push on further along our route. We had read about this Syriac monastery called Mor Gabriel and we agreed to cycle there and take our chance that we could stay for the night. We arrived after opening hours of the monastery, luckily the caretaker spoke good english and said we had to wait for the Bishop to finish his service and then we could speak with him. We waited and waited and out came a man with a long and grey beard even Martin could not match. 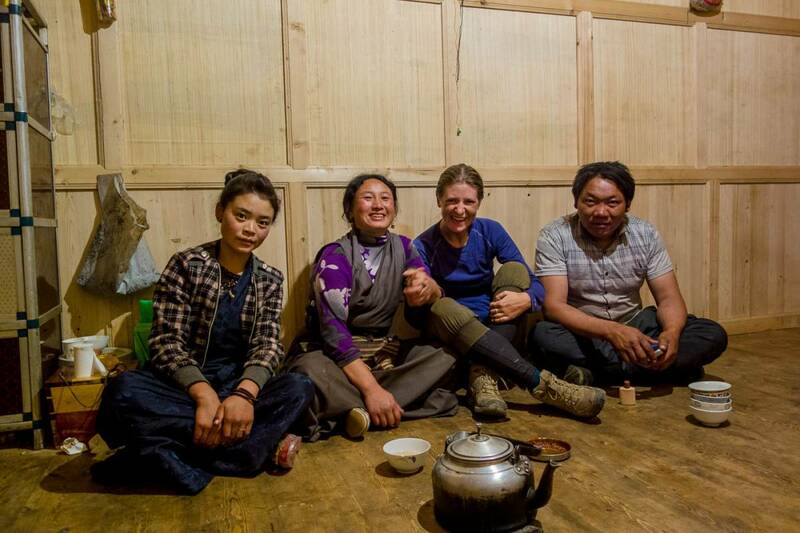 We spoke a bit and he left and he told the caretaker that we could camp next to the toilets which was a great relief for Susanne 🙂 and then we where told that dinner would be served at 19.30 if we wanted to join we were welcome, guess what we said? YES PLEASE! Dinner was in true manner of a monastery and consisted of wheat porridge with cooked potatoes, this was perfect for us as our stomachs were still in recovery. Not to forget the cold fresh water they served, that was pure luxury! If you have cycled in 42°C then you know that every thing turns 42°C within and hour or two and also the water so we drink hot water all day, not so enjoyable but we need the water so bad. Susanne was allowed to join the men for dinner as usually men and women eat separately. When we reached Cizre (has the record of the highest measured temperature in Turkey 48.9°C) and temperatures was intense, really nowhere to escape. Susanne not feeling any better so we opted for the “Grand hotel” a hotel from the 60s we think and run down. We could shower and relax for the rest of the day. While cycling along this route we passed a mix of populations which we were not aware existed here in Turkey: Armenians, Arabs, Kurds, Syriac, Syrian a great mix which has a cruel history of living together which is still seen with the massive military presence. Literally on every hill top there is a military camp. If you have the interest you could google the history of Armenians and Kurds in Turkey. There the title question comes from as this is also a part of Turkey. From Cizre which is at the Tigris river and some 400m above sea level we had to climb and really this was so hard in these temperatures almost impossible! Susanne was too tired/weak to continue and we found a van that would take her to Sirnak at 1400m so a good 1000m climb. Martin continued alone and we agreed to meet in Sirnak where Susanne would find a hotel so we could recover a bit from the heat. We stayed 2 nights in Sirnak we got invited to a great Ramadan dinner by Ramazan and his family. A great experience where Susanne again was allowed to join the men and we would all wait for the evening prayer and then eat eat stop drink tea and then eat watermelon. Thank you Ramazan! We also had interesting conversations in English. Nice to learn more background of this area. From Sirnak we had to continue farther into the mountains and cross several passes really on one of the most beautiful roads we have ridden here in Turkey so remote and pure nature. Along the border with Iraq we follow a valley with continuous patrols of the Turkish military no problems for us. We had the hardest time one these roads due to the heat and being down with stomach issues, this was so hard for Susanne that she had to hitchhike over all the passes along the way and were really worried about the future of our journey. Yes there were talks of putting off the whole journey! 5 months on the road and hard days really wears on us and we had many long talks. The passes are tough but manageable, the toughest days was more than 1800m of climbing in the heat, this requires that you really watch out for your water levels and carrie enough water. At all time Martin had a total of 7 liters on the bicycle and every 20km of so there would be a village where he would refill. Susanne would be waiting for him at a certain point and somehow the checkpoints were always in the neighborhood leading to short talks with the men. At the last big checkpoint 60km before Hakkari we had our normal small talk with the soldiers only this time we were first met by 3 dogs that weren’t used to cyclists. The soldiers chased them off for a moment as we reached the exit of the checkpoint. There a group of at least 10-15 dogs were hanging around as they had heard the 3 other dogs which were now on their way as well. So we had 5 soldiers hitting with rifles and kicking, Susanne screaming at a dog that kept coming back after her, Martin throwing stones to keep these dogs away! Woow intense for 60seconds and we were out of there as fast as possible, against the wind, slowly up a beautiful gorge. 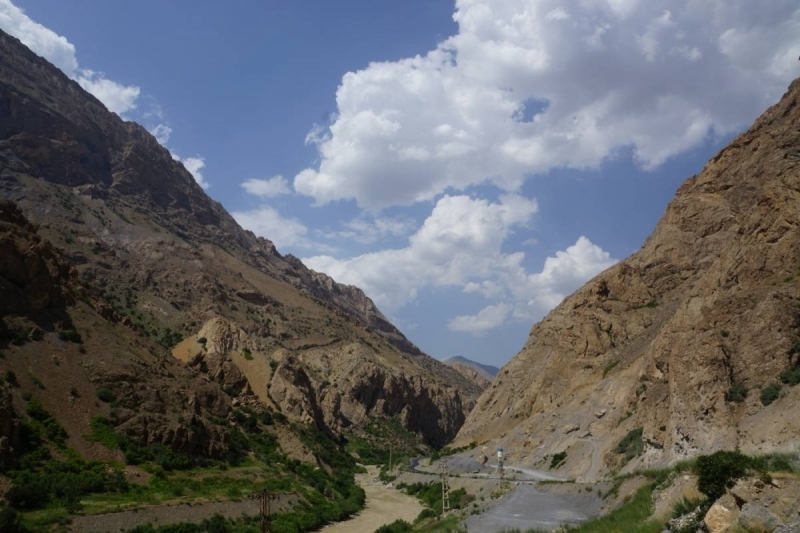 We have reached Hakkari where we stay for two nights, Susanne is feeling better and is beginning to find the motivation back for this journey again! 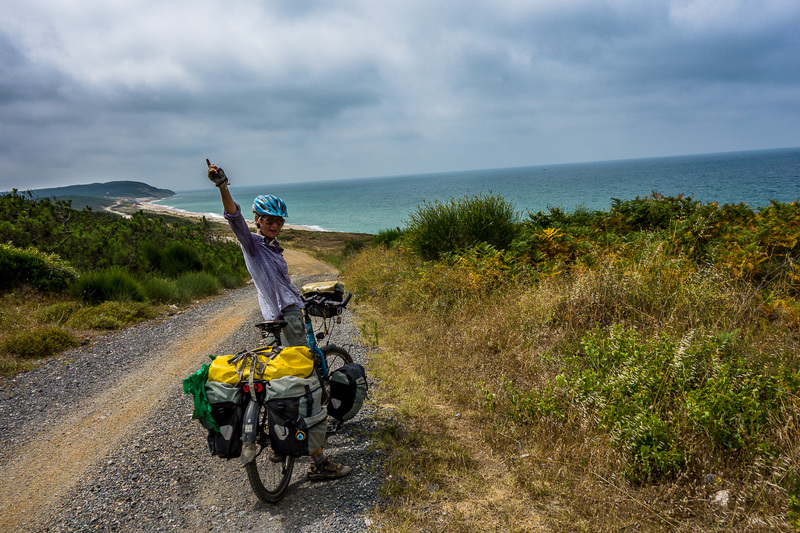 Bicycle touring is not as easy as it sounds, sure we will elaborate more on this subject later. Hello, I couldn’t find a post on how you got from Hakkari to Iran, although I can see on your map that you crossed the Serow border. Everything OK in that part of the world? I’m deciding on my way through East Turkey. Great blog and great facebook updates by the way, although you are real sufferers! Yes we crossed the border Turkey/Iran (Esendere/Sero) this was fine no problems at all. Only they are rebuilding the border so a bit unclear where to go, a nice guy helped us through though. The area was okay we were there not sure how it is now would think it is okay. The military presence is the greatest we have seen so far on our journey. You will meet patrols several times a day and stop at check points. They will tell you if there are any problems further on. When this is said it was a minor thing as people were really nice and the nature really great. Think back on this and it is for sure in the top of places we have beeing to. Let us know if you need more information of the area. As you already know you can see our route on the maps and are able to download them as gpx so you can use them for planning your trip! Where are you going and for how long? More from our trip (in perfect Spanish, sorry) in http://aquitanagustito.blogspot.com. I remember this road as we were looking at doing it back then. I think we chose D400 because of les mountains and a better road surface. We met some nice people in Sirnak and the guy Ramazan would be glad to meet you as well when you get there. They recommended to stay on the D400 as the other road is just a track over the mountains, which could be a good trip 🙂 We were just very very warm back then with +42c and found the D400 really beautiful especially that part. Nice journey you have sat out on! 9 months already great 🙂 Spanish is not my strongest side, google is a friend in these cases. Have fun and keep in contact. Yes and you are welcome to ask questions along the way. hopelijk voelen jullie je nu wat beter! Nog plannen om Irak in te gaan of zijn die ondertussen gewijzigd? goed om te horen! Ik maakte me er al even druk om, het is daar nu zo onrustig. Iran gaat vast heel bijzonder zijn! Sterkte met de hitte en hopelijk zijn jullie weer snel helemaal op sterkte.